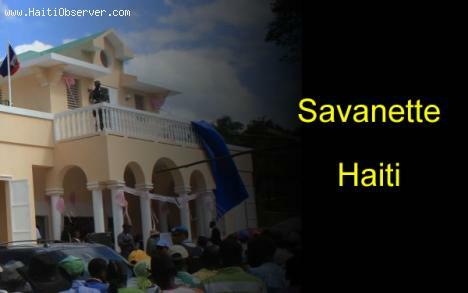 Haiti's Lascahobas Arrondisement is comprised of several cities and towns, one of which is Savanette. Among the best things about Savanette, which has two communes, is its clean surroundings and natural abundance. When you are in Savanette, you can see green hills that give more life to the town and make it attractive. These green hills are not the only things to expect in the town, which also have a very clear river that sends water down the valley. The clarity of the water is a beauty to behold. Not only that, it actually benefits the 33,000 people living in the town. Because the water is clean and clear, a swimming spot has been built in the area. People go to the Basin Lounge to swim in the cool waters. Moreover, a non-government organization built a well near the area to provide easier access to clean water. With this, residents no longer have to spend 2 hours to fetch some clean water. They can already get it without having to travel far. Another remarkable treasure that Savanette has is its local Catholic Church. The church is described as marvelous and magnificent. The tall church, which was built facing the hills, gets a lot of visitors. More importantly, it allows the Catholic residents, which account for most of the population, to fulfill their spiritual and religious obligations. Aside from the spectacular church, the town also takes pride for its classic ancient market and advanced and modern school. The livelihood in the town mainly revolves around timber, livestock and coffee.